We’re offering 7 lucky people the chance to win Microplane’s NEW innovative Spice Mill, which not only precisely grates and grinds hard spices such as nutmeg and cinnamon, it also conveniently stores them in a small airtight compartment. The winners will also receive a colourful Microplane premium classic zester. Made in the USA, Microplane® is the first company to apply photo-etching technology to graters, a process specially designed to create ultra-sharp cutting edges, which revolutionised the market. Using the same pioneering technology, the Spice Mill features iconic razor-sharp stainless-steel blades, or teeth, ensuring ingredients are effortlessly and precisely cut without ripping or tearing. The blade is safely positioned at the base of the manual mill. It’s easy to use; simply remove the top, place hard spices in the base, replace the top, push down and twist clockwise with one hand while holding the base with the other. The evenly grated texture of the spice is based on the amount of pressure used when twisting the top. 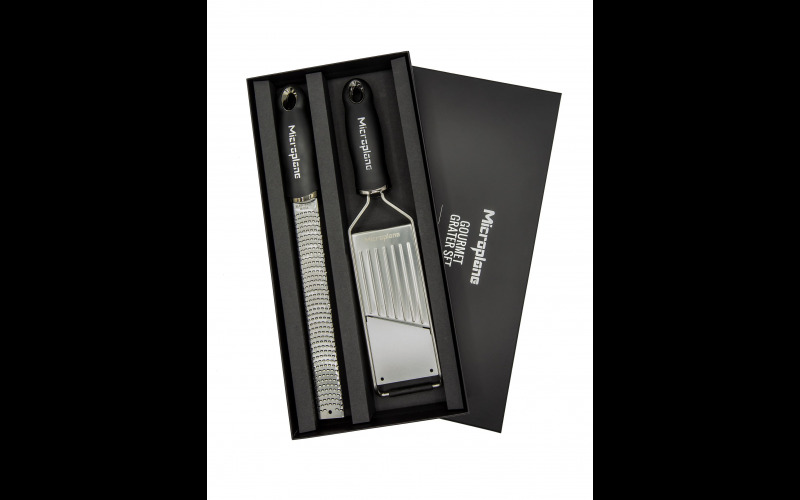 The iconic Microplane® Premium Classic Zester, loved by passionate foodies worldwide, is a kitchen must-have, saving valuable time when grating everything from hard cheese to citrus fruits, ginger, garlic and nutmeg. The Zester comes in 13 colours, has anti-scratch rubber ends and a reusable protective cover for safe storage. Microplane products are available from Harts of Stur and independent cookshops nationwide.